When simply considered, the name speaks for itself. Access control is something that helps control who has access to a certain place or thing, ranging from locks and buildings to a secret code for an ATM card at a bank, or even a security guard at the entrance of a building or property. However when thinking of it from a locksmith and security point of view, it is most commonly used for places of residence and commercial buildings. An access control system is an excellent building management tool and will enhance the safety and security your building. Residents are able to enter the building using key fobs* (see below for more information on fobs) or cards, instead of having to use keys. 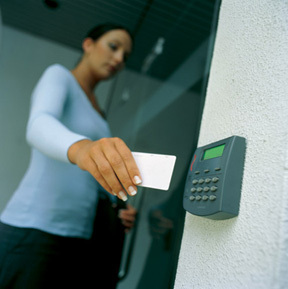 The access control system we offer is based on access control panels by Pelco, one of the leading security companies. It is owned by Schindler Electric, founded in 1957 and headquartered in Clovis, California. 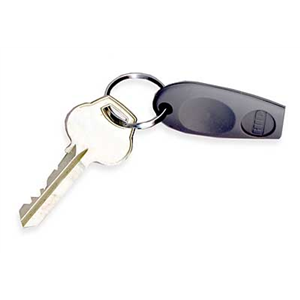 Key fobs are also known as key chains or key rings, often used as decoration or identification. However with today’s advancing technology we now have electronic key fobs which are used work with remote keyless entry systems on vehicles or for building security. More commonly key fobs are now utilized as a method of access control in apartment buildings, offices, and hotels, much like a key card. They allow the manager or authority figure to control who has access to which areas of a property, and can even be programmed to work only at specific times during the day.